Running a successful small business is all about being hands on. It is commonly held that absentee owners' companies are more likely to fail. Yet as Simon Edwards, marketing director of Cobra Beer, explains, making time to go away and do a business studies course could reap significant benefits, even for the most experienced business person. We are a small refrigeration and air conditioning company that advertises widely. What would be great for us is if an outside body could review our business and give us some views on where we are going and where we need to be. Is there such a service out there? I have another suggestion for you as I have no experience of the sort of companies you are looking for and I suspect this option might be better value too. My managing director, the owner and founder of Cobra Beer, did this in 1997 and he thinks it was one of the best decisions he ever made. 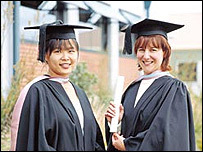 He attended the Business Growth Programme at Cranfield University. It's a part time course for business owners, which runs for ten weeks. The aim of the course is to give you the ability to take stock of where your company is now and plan how you are going to get to where you want to be in the future. The course covers all aspects and issues of growth, giving very valuable advice and help, and you to carry out an audit of your company yourself during the course. But one of the strongest aspects of the course is that you are surrounded by other business owners who are committed to growing their companies and throughout the course everyone will be discussing problems they have faced and how they overcame them - the value of that is worth the fee alone. Follow the link to the right of this story for more information. I started a wholesale nursery in 2002 that specialises in the propagation and training of fruit trees and grapevines for the garden centre and landscaping trade. I sell at the same price as the very large other two firms in this field, both of which have a brand name. From the outset I commissioned a graphic artist to construct a logo, an espaliered tree, but hitherto have used this only on stationery - not on tree labels (which are very expensive because of the small runs I would need). Clearly I have to remedy this situation and am seeking a reasonably priced label on which I can use our logo. I do not have a brand name - "Espalier" is available but does do not have the bite of 'Cobra'. The family and I are working on possible names, but any advice on this or any other aspect you feel important would be very much appreciated. If your trees are superior, then I hope you are demanding a higher price than your competitors. Not so you can "make more money". Rather, to plough back the extra profits into building your brand, by paying for a nice set of distinctive labels for example. And if people are telling you your products are superior, ask them if you can quote them on promotional information that you send to potential customers. When it comes to a company name, you can probably find a dozen reasons why any name you suggest would be right or wrong. If a bank can be successful with a name like Egg, then I think it is clear that it is much more important what you are actually offering than what you are called. Within reason, people will accept any name no matter what you are called. "Espalier" sounds very sophisticated but isn't very warm or organic. If you want to get across quality, then you can communicate that by using quality stationary and labels. Quality doesn't have be and shouldn't only be in the name. If you are very confident of your quality then I think, like Egg, you can be a bit more adventurous with the name. What about "The 2D Tree Company"? To ask Simon Edwards a question about how best to market your small business, use the email form below.